Treaties are nation-to-nation agreements among sovereign entities – political groups with the ability to set rules for their own communities, determine their own membership, care for their own territory, and enter agreements with other sovereign entities. The sovereignty of Dakota and Ojibwe people – recognized with that of other American Indian groups in the US Constitution – is not a product of the US political system. It existed before the US existed, it was retained in part through treaties, it exists today. 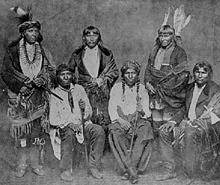 American Indians in the US are often seen as one ethnic group among many. But ethnic groups do not sign treaties. A focus on race overlooks the reality of sovereignty that Dakota, Ojibwe and other American Indian people have maintained at enormous cost as the US acquired their resources. One important way in which Ojibwe and Dakota people exercised political sovereignty in the past was through treaty-making. 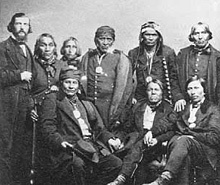 As sovereign entities, Dakota and Ojibwe groups conducted international diplomacy with each other and with other American Indian groups, before and during the treaty-signing era with the US. In the history of US treaties with indigenous people, the Dakota and Ojibwe were major players. More than one out of every ten treaties ever signed by the US with American Indians involved people and land in what is now Minnesota. Through some of these agreements, land and resources were transferred from the control of Dakota and Ojibwe people to the US – or retained by Dakota and Ojibwe people. They are transformative events in the history of North America. "I understand what you want... from the few words I have heard you speak. You want land." Most of the land that is now Minnesota was ceded to the U.S by Ojibwe and Dakota people over a 30-year period (1837-1867). These treaties are part of a larger picture that affected indigenous people and land in what is now Minnesota.